Today we decide to tell you a succesful wedding and the smart idea one of customers got to make their special day even more unforgettable. This is the story of Jérôme. Initially, Jérôme was looking for websites to customize products with the logos he created for their wedding, they didn't know yet what type of custom objects. They found Camaloon on Google and when they found the round pin buttons, Jérôme realized they would be perfect for their logos. Jérôme first ordered 4 round pin buttons for testing (matte black, glossy black, glossy white and green) and see what was best with their color scheme (bright white and green). - The round pin buttons black matte color with white logo with their name each for guests and for his costume. 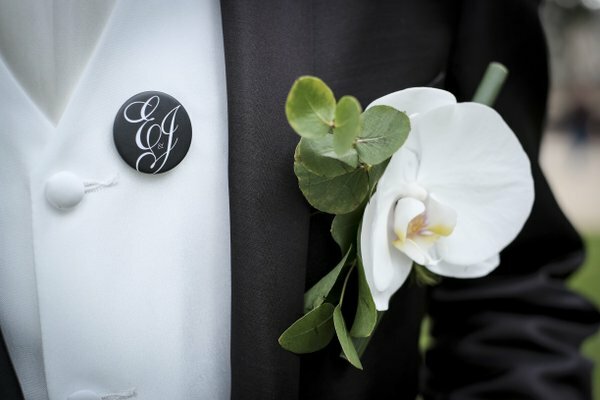 - The round pin of white buttons with black logo for witnesses of marriage with their first name. 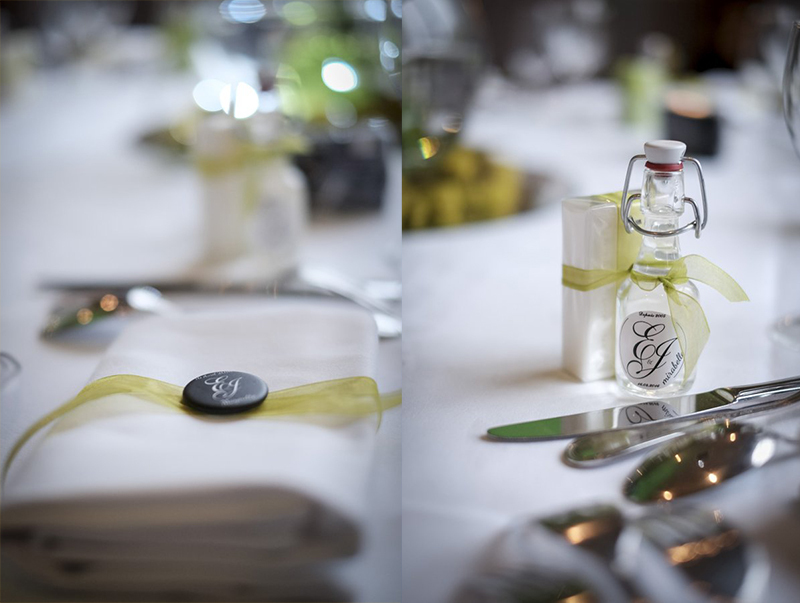 - For the other guest gifts, they opted for a white label sticker. And these are the words Jérôme used to describe his experience. "The finishing and the results were very good. For us it was important that it is in this range and be successful in all aspects of their marriage. 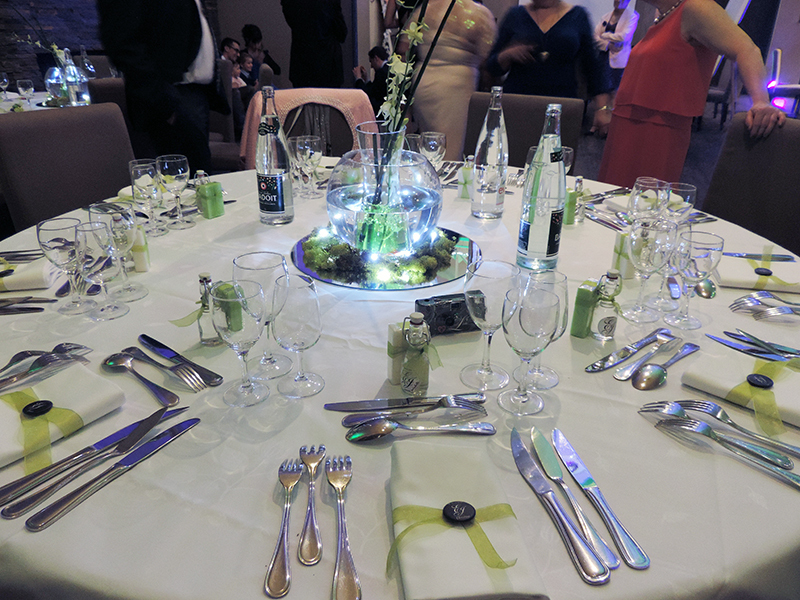 Our guests and we are delighted because the object was used as place markers on the tables (goes perfectly with the decor than we expected) and also lets start with and keep as personalized souvenir of the day. Many have put on their shirt or jacket for the evening."